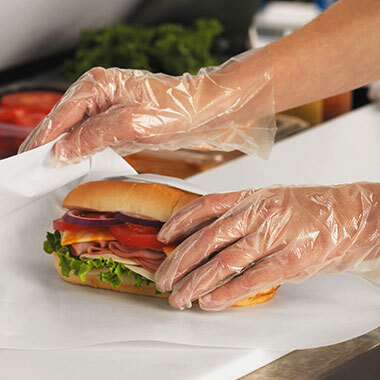 Poly gloves are perfect for any deli or food service environment. They are lightweight, easily disposable, and latex free to prevent allergic reactions. Gloves are sold in bulk so staff can easily grab a fresh set when switching between food preparations to help reduce the chance of cross-contamination.